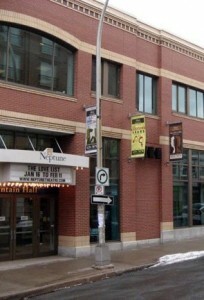 Neptune Theatre is a great reason to visit Halifax outside peak tourist season. The theatre, over 40 years old and going strong, struts its stuff on stage from September to the end of May. Shows cover a broad range, from musicals to dramas, comedies, Canadian theatre and everything in between. Tickets cost $35-50. During the week, it’s usually easy to get a ticket at the door but book ahead for popular weekend shows. You can find out what’s on and buy a ticket online at the Neptune Theatre website or call 1-800-565-7345. Getting there is quite easy. You can walk to Neptune Theatre if you’re staying downtown. Bus routes 1, 7, 14, 20, 32, and 80 all stop 1 block away, on Barrington Street. Many people drive but you’ll have to pay for parking, most likely in one of the nearby parking garages.